You are currently browsing the tag archive for the ‘ABC’ tag. …tonight on ABC. Check your local listings and all that jazz. He also celebrated this development. Yeah… he had a better night. The perfect start of a Thursday. Actor Mickey Rourke will also be on the show promoting “Iron Man 2.” The verdict is still out on whether or not he will be bringing his whippy sticks. …there’s going to be a scene that takes place in a parking lot. 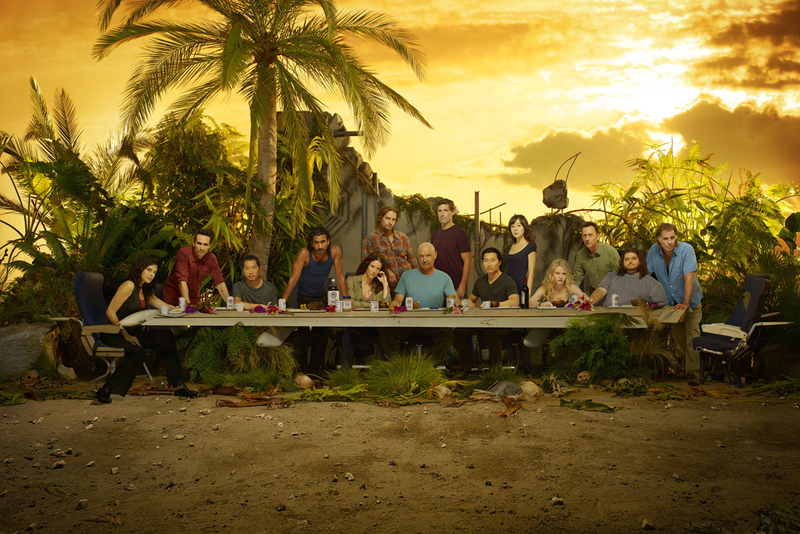 The scene is between two main characters; one of them is Hurley. That’s the scene Kathy and I were almost in! When we were out in Hawaii last October we had an opportunity to be extras in that scene. Unfortunately, due to crazy schedules and a departing plane later that evening, we decided to pass on the chance. But keep your eyes peeled for that scene tonight! The extras driving around in the parking lot, that was supposed to be us! You guys ready for tonight?!? It seems as if I’m the last person on Earth to come across these photos. Thanks for sending it along when it came out, jerks! Below are two promo shots for the upcoming season of “Lost.” Click on each image to view a larger version.